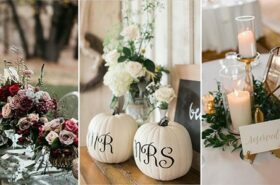 As elaborate as a carefully manicured floral arrangement and as simple as a mason jar with a few stems, aisle markers add serious style to your ceremony. 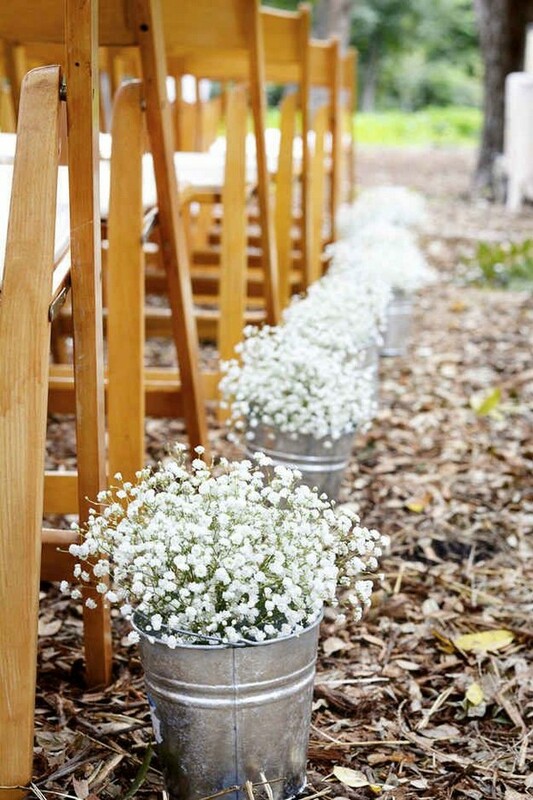 Flower markers not only help to define the space (perfect if you’re working without traditional pews), they also add a fresh ambience to the room .Create a hanging arrangement for the chairs with herbs for a subtle fragrance or fill a paper cone with petals or confetti for a practical way to share your exit toss materials. 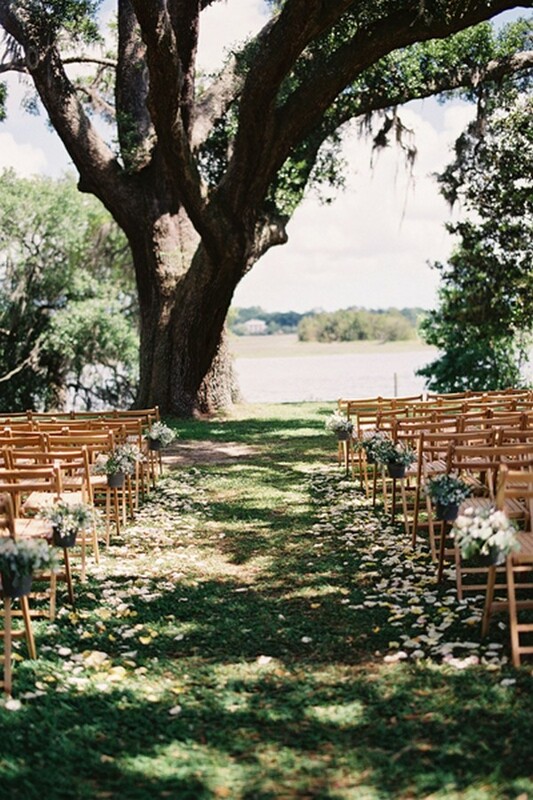 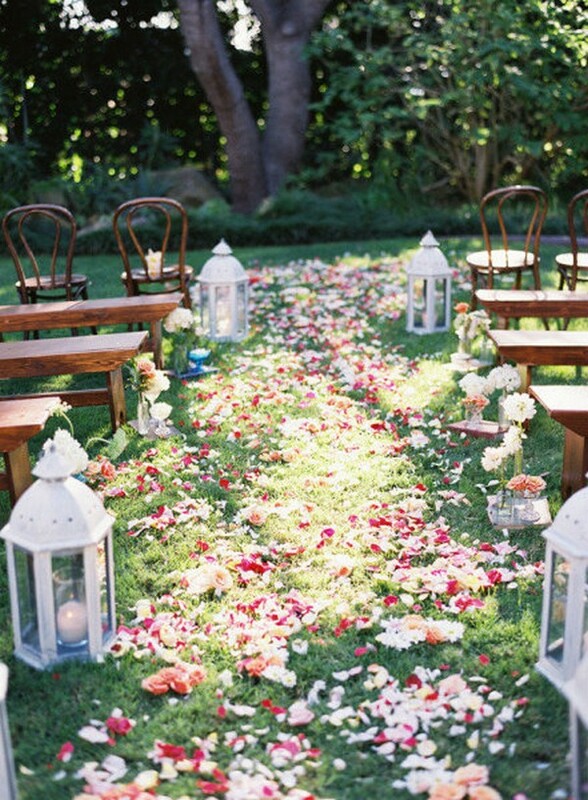 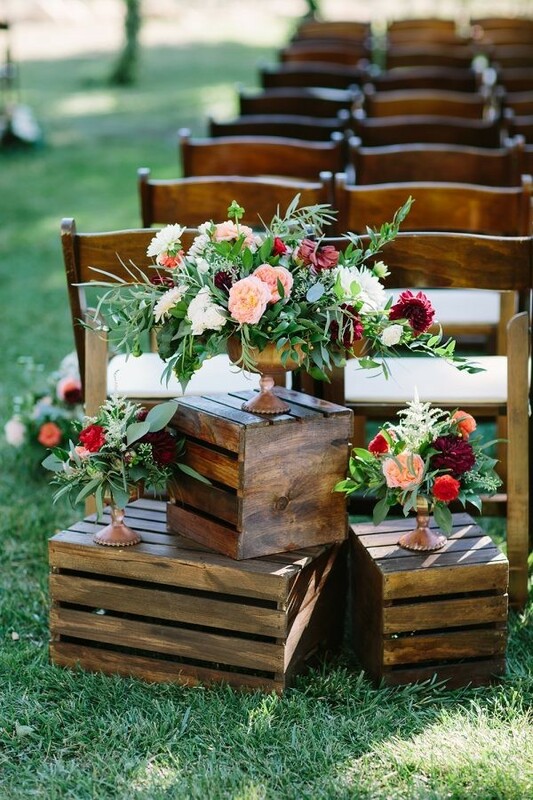 Tip: Take the arrangements from the ceremony to your reception to double dip on your flower and decor budget! 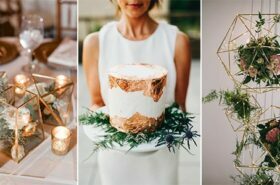 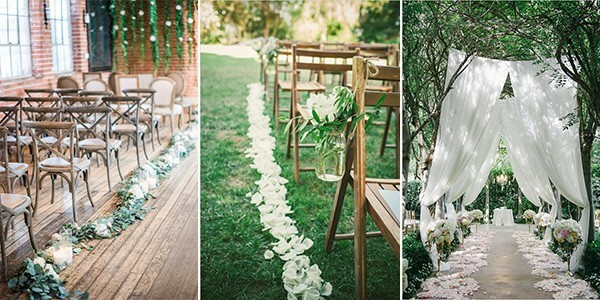 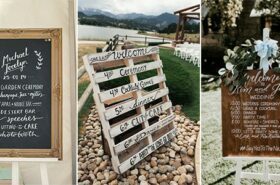 See the different ways you can incorporate aisle markers into your wedding plans in the gorgeous photos below.